In my previous article, you learned how to build a hot liquid level indicator for the vision impaired to help them fill cups with hot liquids such as tea or coffee. 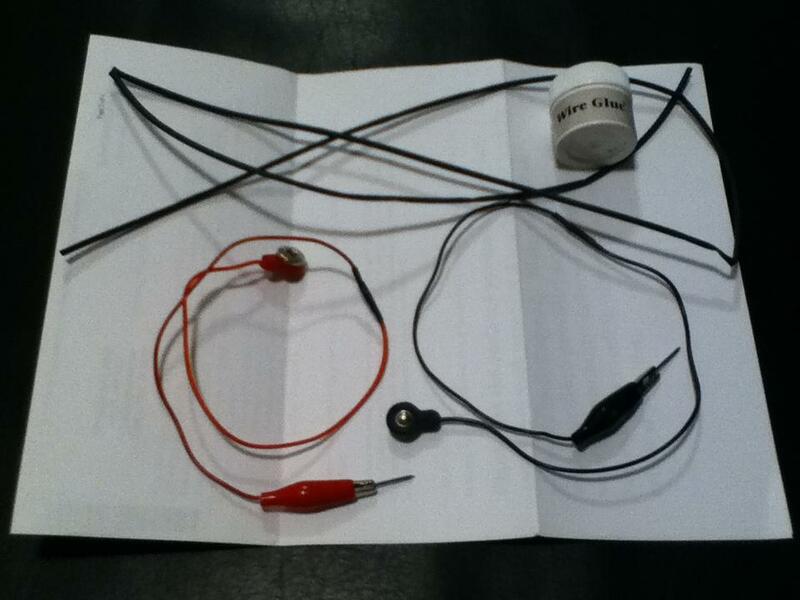 The 555 test circuit was used to generate a tone when the liquid in the cup reached the desired level--when the liquid level reached the red and black snaps of the Jumper Wires inside the cup. The liquid (my coffee) conducts electricity because tapwater contains small amounts of contaminants. Some of the contaminants include anions (these have a negative charge) such as chloride (250 ppm), nitrate (10 ppm), and sulphate (250 ppm) as well as cations (these have a positive charge) such as iron (0.3 ppm) and aluminum (0.2 ppm). My coffee, as a conductor, acted like a switch to close the circuit somewhat like a single pole single throw (SPST) switch. You can think of it like the Slide Switch (S1). An SPST switch is like a light switch, when you switch it on it will stay on until you switch it off. Similarly the 555 test circuit will continue to play the tone until you remove the snaps from the coffee (or turn the Slide Switch S1 off to cut the power from the batteries). 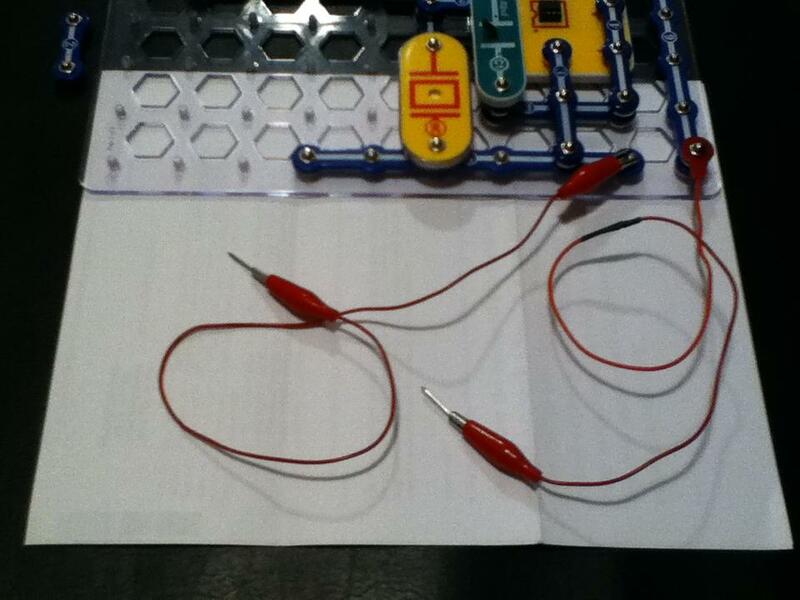 You can even get creative and make a Snap Circuits Jumper Wire to alligator clip conversion cable. 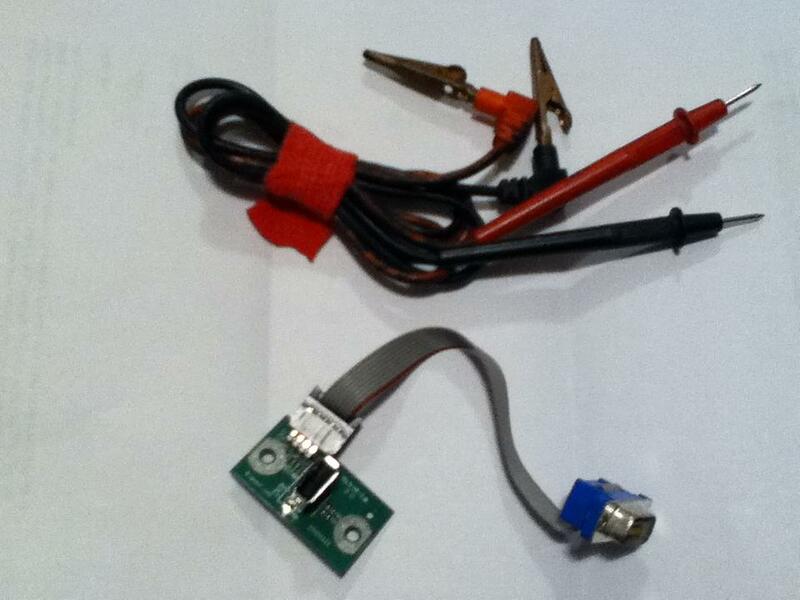 I used a Snap Circuits Jumper Wire, an alligator clip cable, Wire Glue, and shrink tubing. Cut an alligator clip cable in half and strip about a half an inch (13 mm) of insulation exposing the braided wire. Cut a Snap Circuits Jumper Wire in half and also strip 13 mm from the wire. Cut a two inch (5 cm) length of shrink tubing and slide it over the Jumper Wire and push it all the way to the snap (to keep it out of the way). 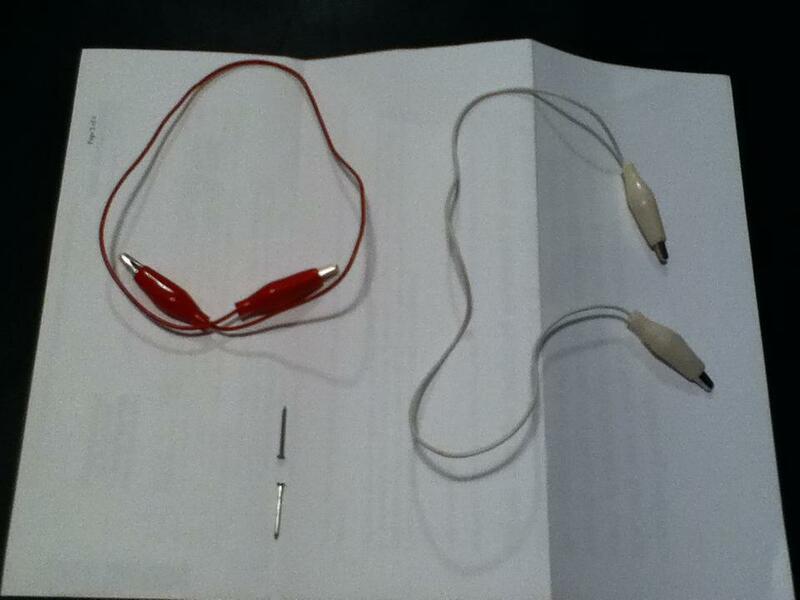 Twist the exposed wires of the alligator clip cable and the Jumper Wire together and dip the twisted ends in wire glue. Wait for the Wire Glue to dry. Then slide the shrink tubing over the glued ends of the wires and use a blow drier to shrink the tubing around them to help prevent an accidental short circuit from the exposed ends of the wires. The usual purpose of a cable tester is to test the continuity of the wires in a cable, that is, to verify the electrical path from one end of a cable to the other. Let’s say, for example, that your desktop computer is connected to your DSL or cable modem via an ethernet cable but you can’t access the internet. After restarting the modem and the computer and also reseating the RJ45 connectors at the computer and the modem, you find the computer and the modem still aren’t talking to each other. So, you decide to replace the ethernet cable and thus restore your connection to the internet. For a home network, it is a simple matter to replace an ethernet cable since the cable isn’t very long. If, on the other hand, you’re installing a 200 foot ethernet cable in a commercial building or stadium from, say, a wifi access point to a network switch, then a cable tester is your best friend. You’ll only install a bad cable once. It really is such a pain to have to take down and replace a lengthy cable that you’ll find yourself testing every cable before installing it. The 555 timer test circuit cable tester can be used to test a computer ribbon cable as demonstrated in the video or a phone cord. It can be used to test whether different materials conduct or don’t conduct electricity such as plastic, glass, cloth, wood, a coin from your pocket, a house key, aluminum foil, any number of materials from around the house including, of course, tapwater.